The course, which Gaspar Voli was Secretary, as it is remembered on the old “Manual for Playing Golf in Italy”, was Par 36 and 2000 yards. It was patronised by the Savoia Royal Family when fox hunting in the Conturbia earldom and as documented in old photographs, gentlemen with long moustaches and ladies in long white dresses and pretty hats were playing golf on it. Among the various news one can read:“The course is on a land really suitable for golf. The moor is insurmountable and this has always been the wish of the true golfer. The course covers a large area of grassy land full of gentle undulations and narrow valleys. 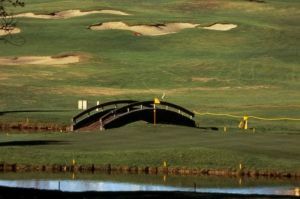 The round is open, a good ball can be easily found but the wrong strokes are punished by the heather and broom.The Couturbier course will probably become the most pleasant in Italy”. With changing fortunes, the course was operative until around 1963 when, having become strictly private, falls in the abandonment. 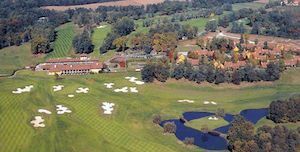 Then the recent history:In 1984 the course is re-founded for the third time with the name of Golf Club Castelconturbia and affiliated to F.I.G. The driving range with the near by practicing holes were opened in 1986 and then, one by one, the three courses up to September 1987 when all the 27 holes were finally open. 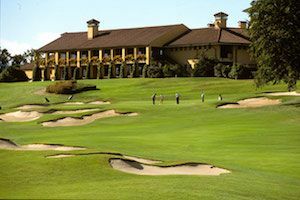 The modern 27 holes golf course, planned and built up by Robert Trent Jones Sr covers an area of overone million square meters, including and widening the area of the old existing nine holes. 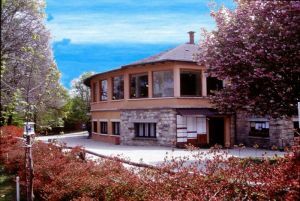 An ideal place among secular trees, streams, small lakes and gentle undulations of the land for performing one of his most successful courses which fits in a harmonious way into the splendid and intact countryside in the back-ground of the massif of the MountRosa. 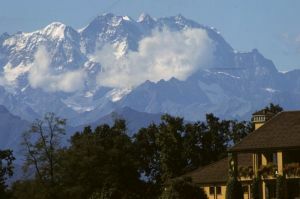 The Castelconturbia golf course stands on the earldom of Conturbia, sideways the seventeenth century Castle, where the water of Lake Maggiore gradually becomes the Ticino river, in a lovely setting of intact nature.. The modern course has been ranked among the top ten courses in continental Europe and since 1987 and for all the following years the Club has been awarded the prize which recognizes the best courses in Italy. In 2003 it was awarded as the Number One. 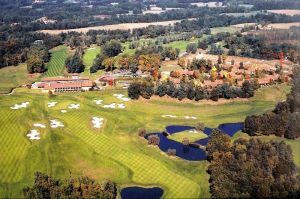 It has beentwo times venue of the Italian Open (1991 & 1998): course record 66 held by Josè Maria Olazabal and Costantino Rocca. Golf Club Castelconturbia is not yet in our pool of Golf Courses for orders.